The Poet Laura-eate: Save the Hippo! are just some of the stars and acts who've graced the 3,000-capacity Brighton Hippodrome in its 118 year history since first being erected in 1897 as an ice rink with the occasional indoor circus before its transformation in 1901 by Frank Matcham into one of the foremost vaudeville and variety theatres in Britain. Several decades later came the age of television and London-centric shows and nationwide theatre tours which meant variety fell into decline, despite the heroic efforts of local comic legend Max Miller to keep the artform popular. In addition local tastes were no longer catered for. 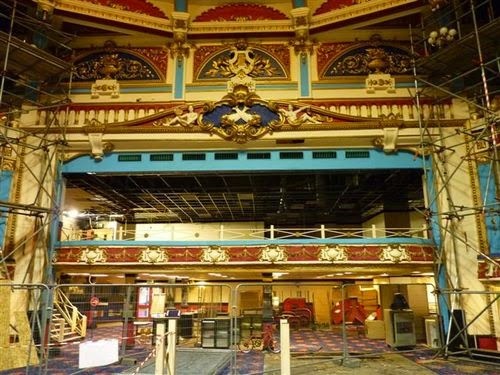 Two ambitious plans to turn Brighton Hippodrome first into a live music venue and secondly (and more ruinously to the original Matcham interior) into an 8-screen cinema 'entertainment hub' with internal shops, a public square and a restaurant on a removable floor, have recently come to naught. However there is every chance of this being 'a good thing' as local opinion and feeling for this forgotten gem has been well and truly awakened and is gathering apace. Brightonions have already lost the finest Victorian pier in England (West Pier). It seems denizens are damned if they are going to lose another Victorian gem and potentally golden USP for the city. Furthermore Brighton boasts the largest arts festival in England the Brighton Fringe, so it seems ironic, not to mention tragic, that a historic premier arts venue finds itself 'at risk' in our city. As a performance poet myself, I can only imagine the magic of performing on a stage of so much history and in the footsteps of so many stars. I really do hope that one day it can become a reality for myself and many others too young to have had the chance first time round. 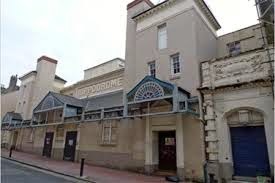 My own proposition is that the Brighton Hippodrome should be a crowd-funded and co-operatively owned venture where stage and theatre management schools can use it during the day and variety bills can fill it at night. The circle has revolved once more since the 1960s. We are now bored with TV and hundreds of channels showing the same dross. We want some VARIETY again! Other cities who have had the foresight to retain their Hippodromes are bearing this out by apparently enjoying excellent takings, so there should be no reason why Brighton Hippodrome couldn't. Not only that but we currently have a demographic of far too many stag and hen parties pounding the streets out of tourist season which needs to be redressed by encouraging a classier clientele of more theatre goers into town (though of course cheaper night time parking would also help). Stag dos and hen parties should be banned. You've got my vote. They just need to be better regulated Steve. But we do need our Hippodrome back.